Photo Credit: Superior Arts Youth Theater Facebook Page. Recently I had the privilege to help create a promotional video for the Superior Arts Youth Theater’s (SAYT) performance of Alice in Wonderland. 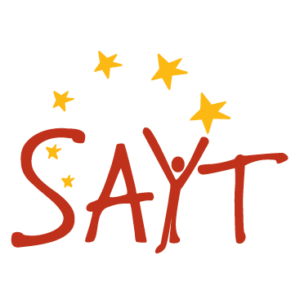 SAYT has been providing kids, ages 3-18, with fun learning opportunities in Marquette, Michigan since 1992. They seek to empower young people through performance art and education. I was lucky enough to sit down with some of the kids, parents, and volunteers to talk to them about the importance of this program and others like it. Seeing how hard these kids work and how excited they are about it made me realize just how important these opportunities are for young kids. They make friendships, gain confidence, and most importantly have fun! Programs like this that allow for kids to learn and explore themselves and their talent is so important. Parents have seen their children blossom both on and off the stage. Watching these kids get ready, practice, have fun in between scene was so much fun. They have to learn to work together and learn commitment and responsibility. Programs like these are mostly depended on donations from the community and the funds they receive from the performances, and because of this they are usually tight on funds. Choosing to support your local theater group or any other program similar to this is so important! Educate yourself on what kind of programs are in your area and see what kinds of cool stuff they are doing! These kids and volunteers work so hard to not only put on a good show but also to teach these kids all they can while making sure they are having fun too. Watching these kids work so hard and have so much fun was such a blessing, it really opened my eyes to how essential programs like SAYT are. Check out the promotional video I put together for SAYT and check out all the amazing things they do here!